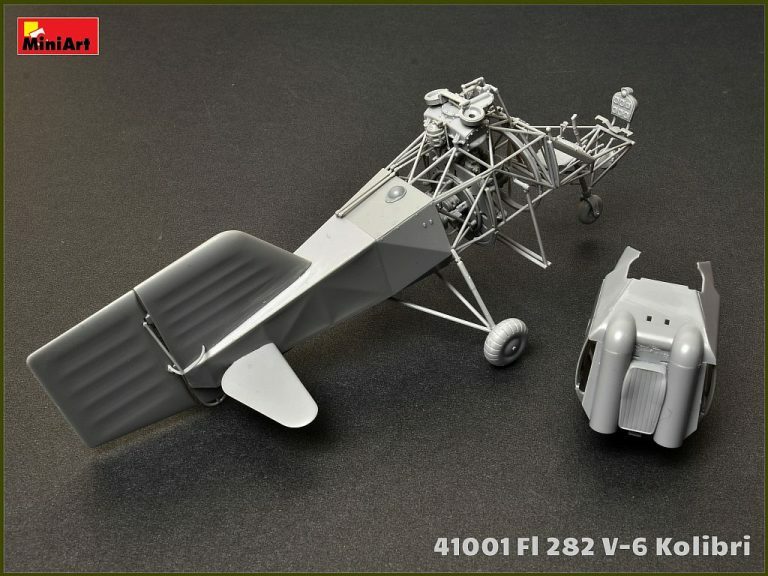 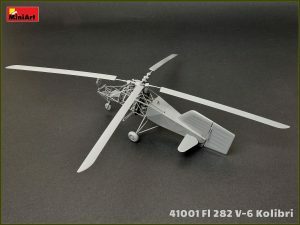 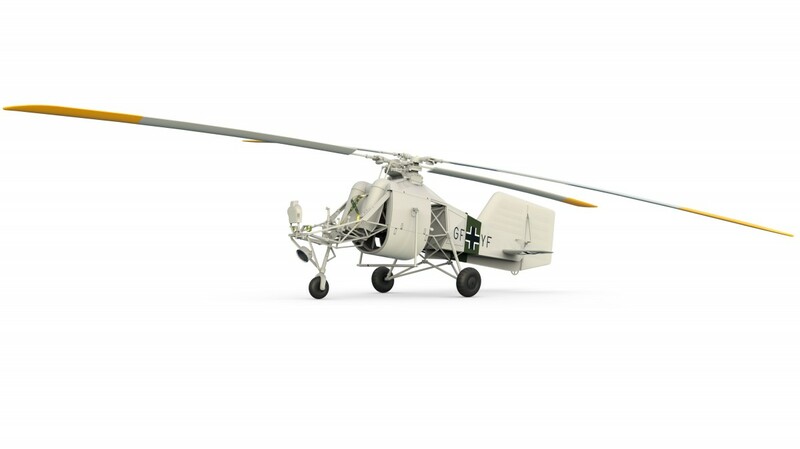 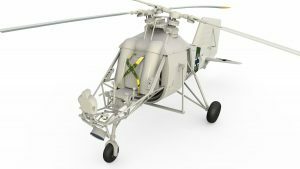 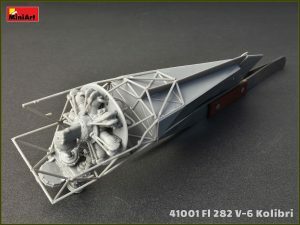 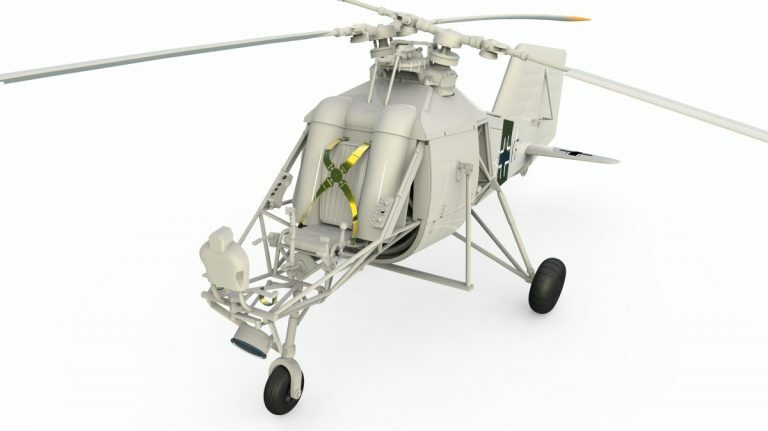 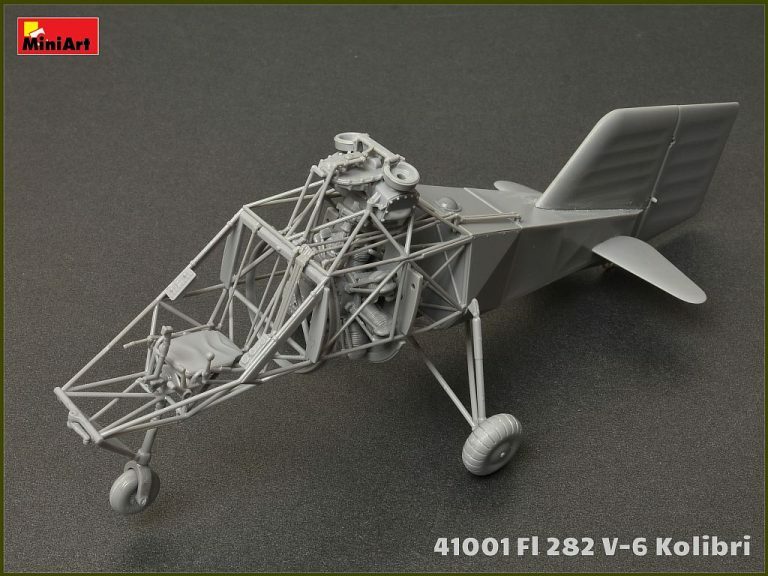 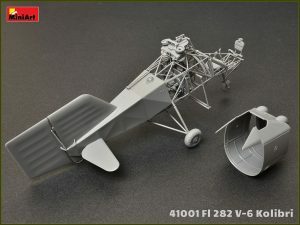 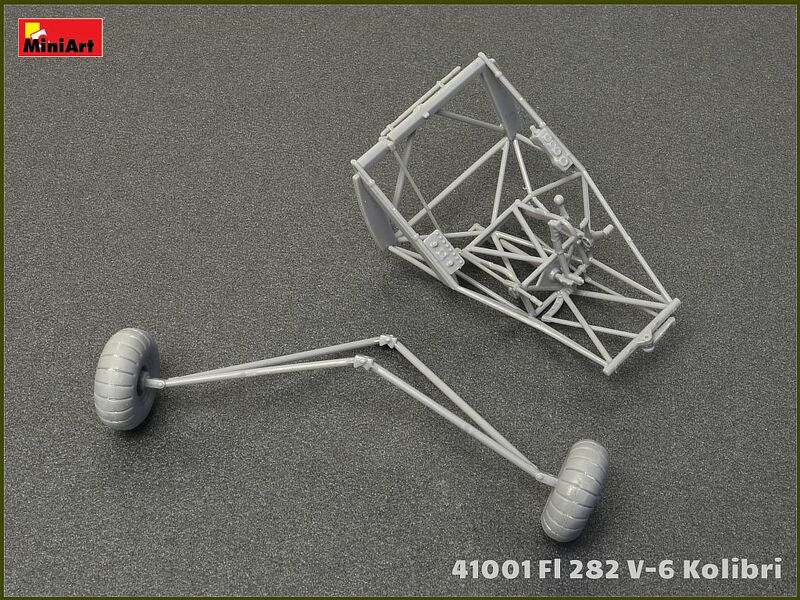 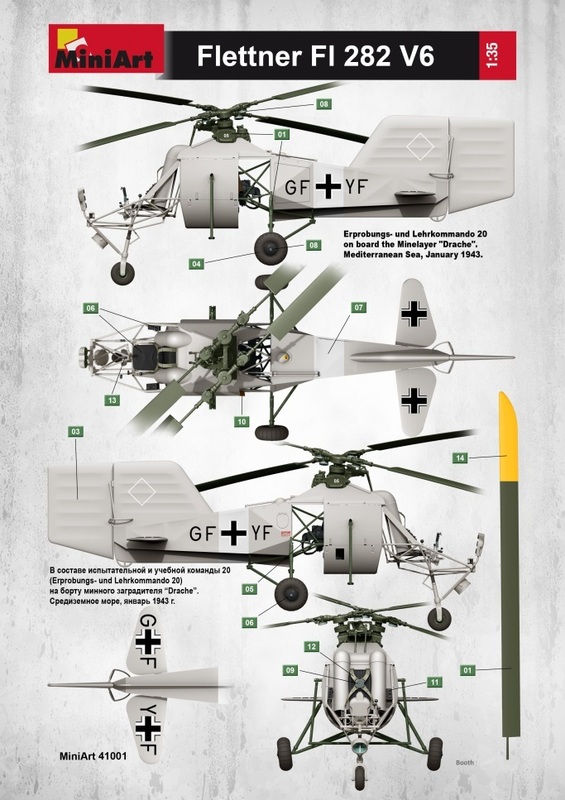 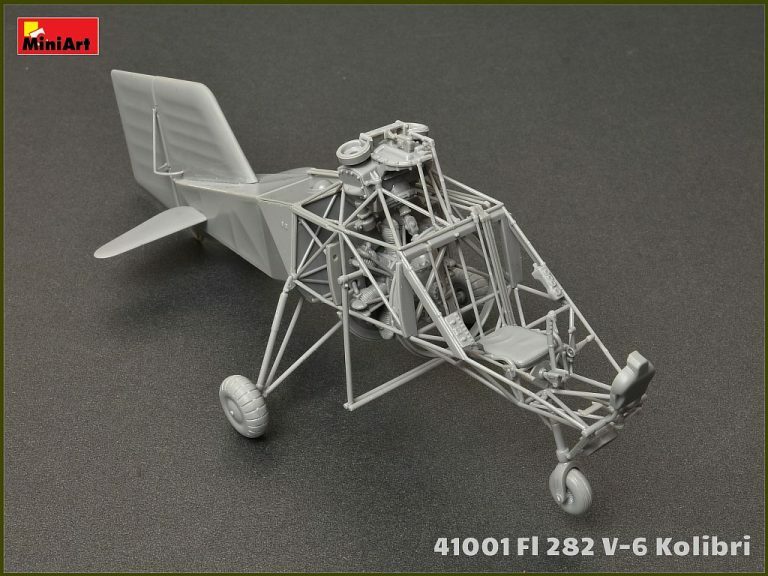 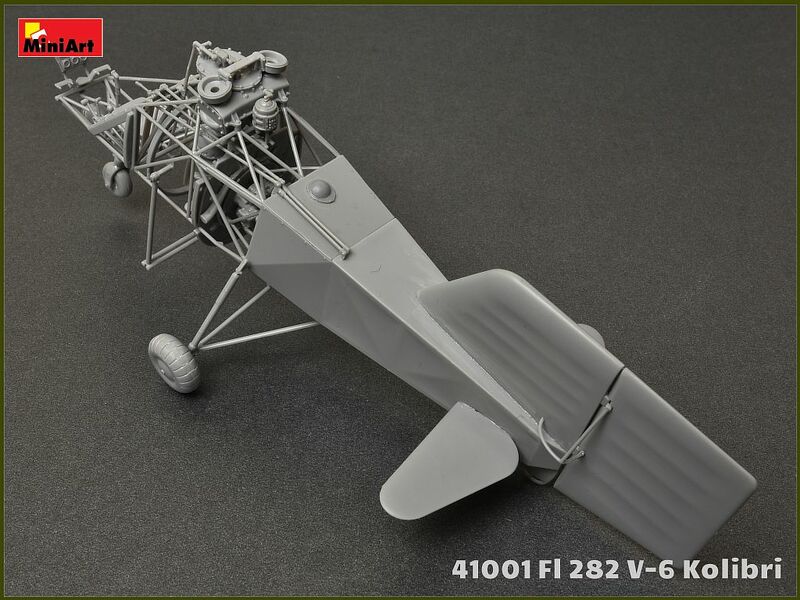 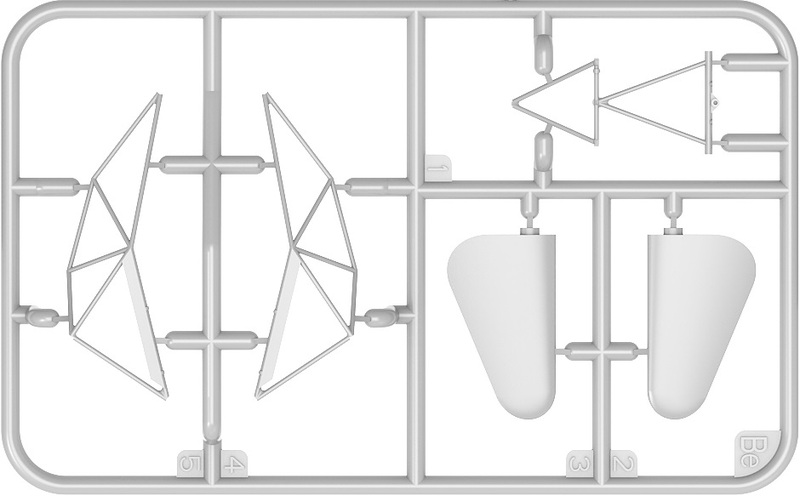 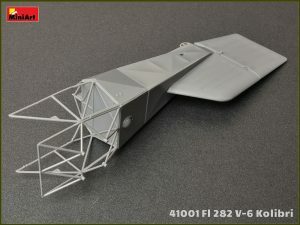 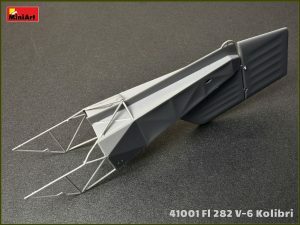 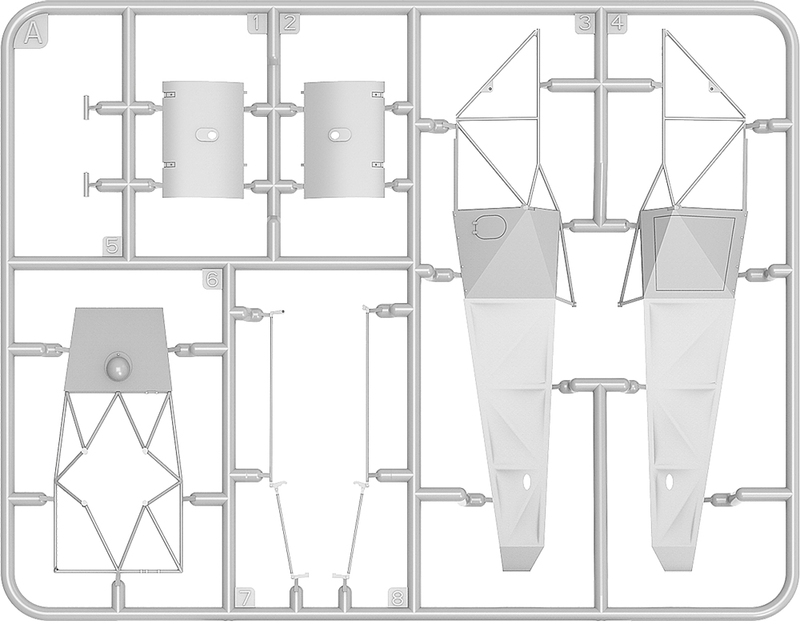 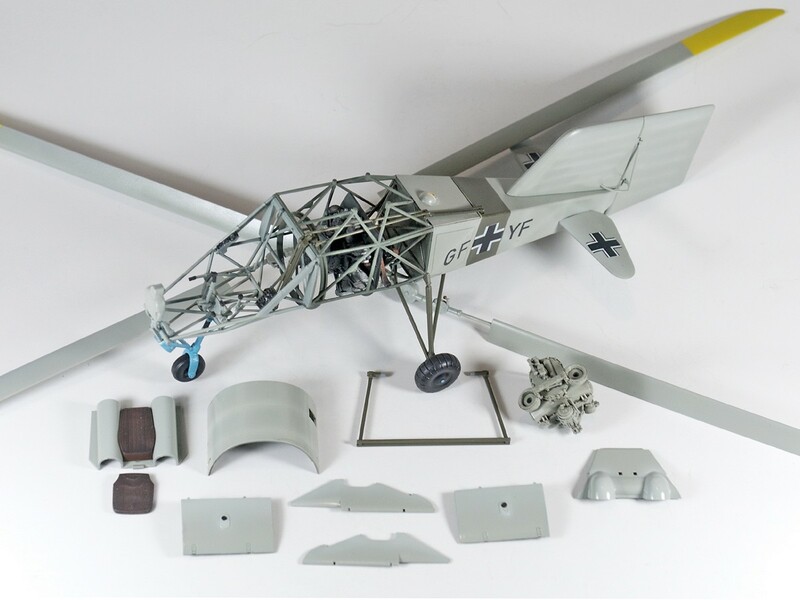 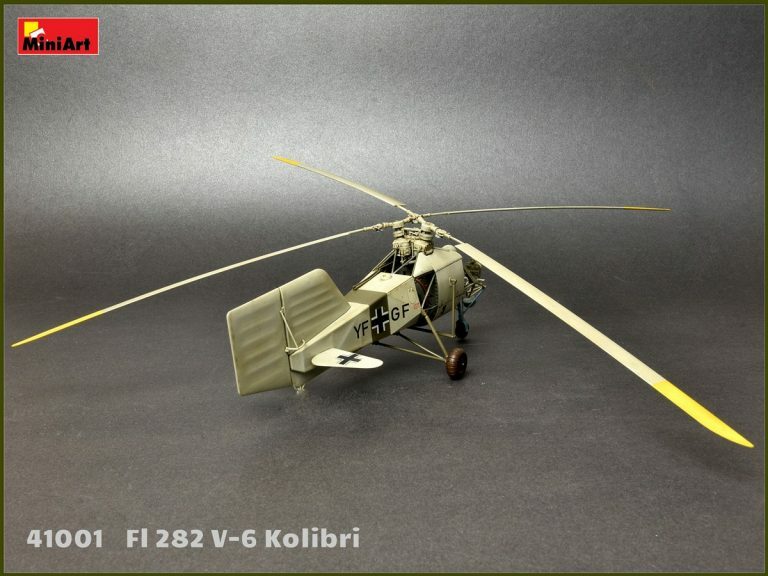 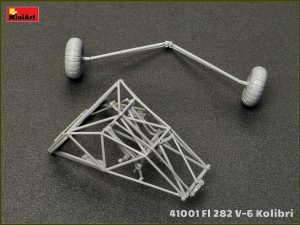 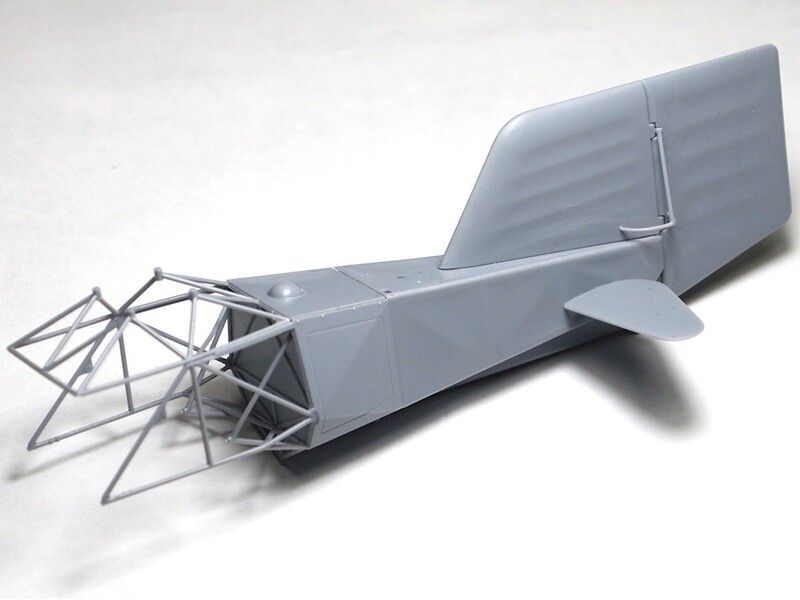 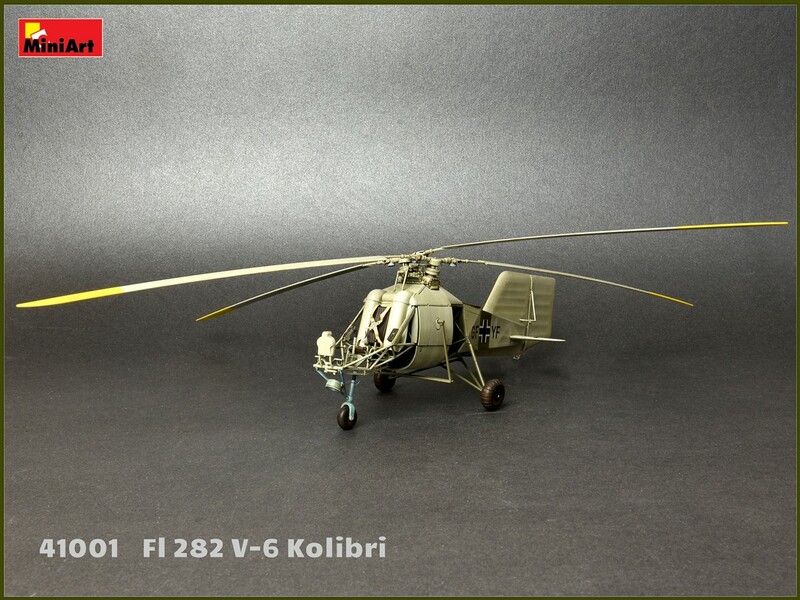 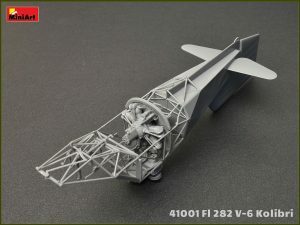 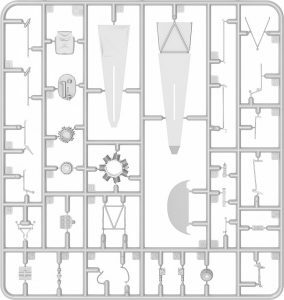 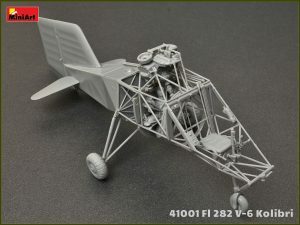 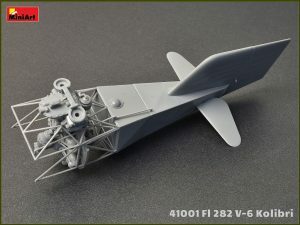 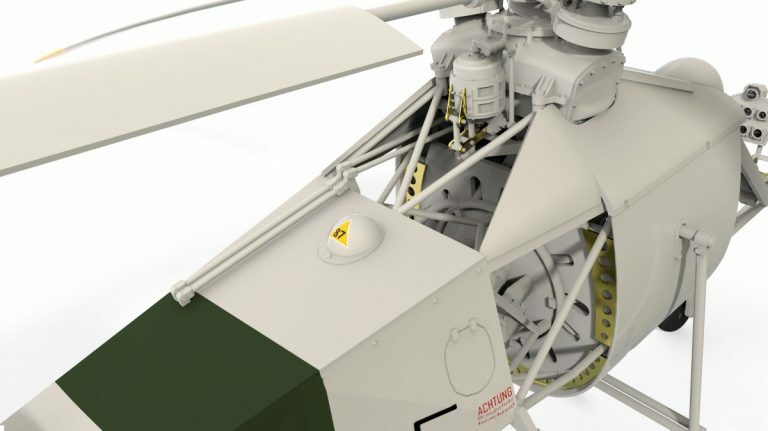 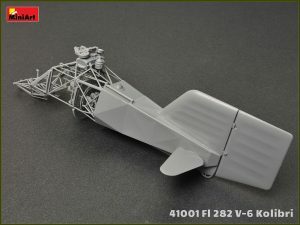 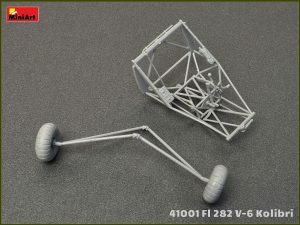 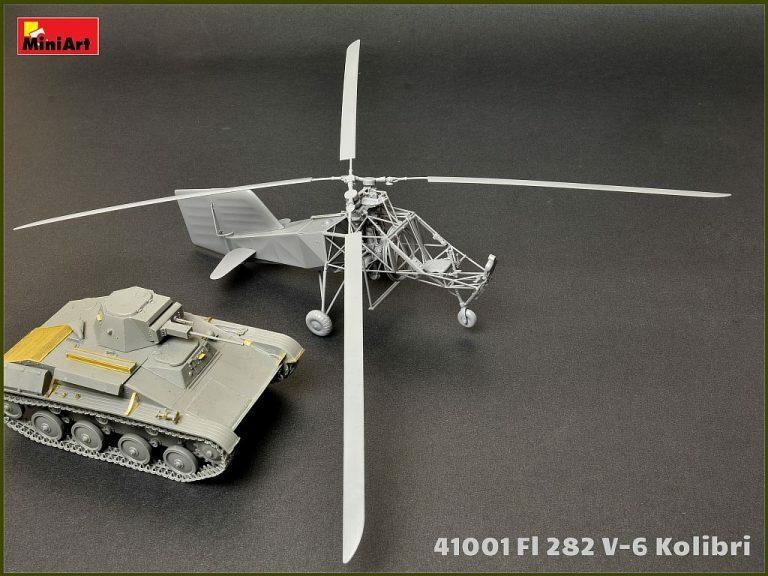 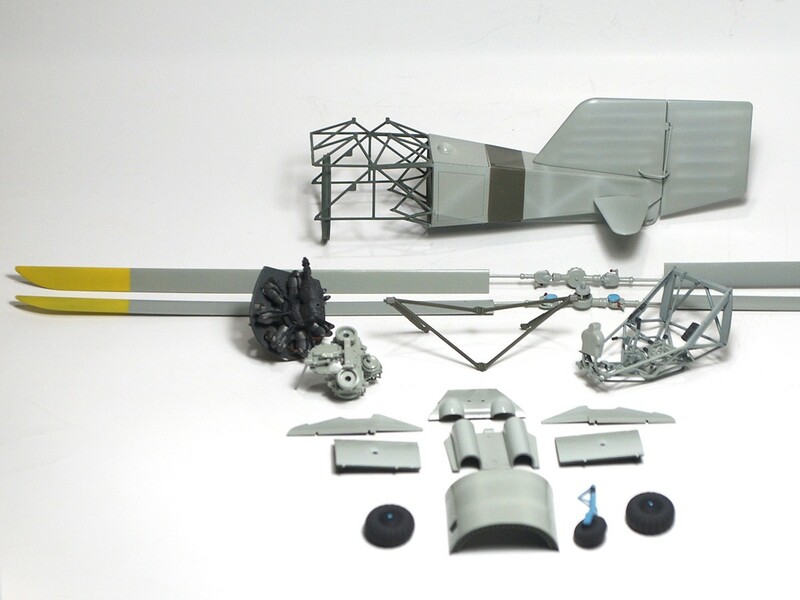 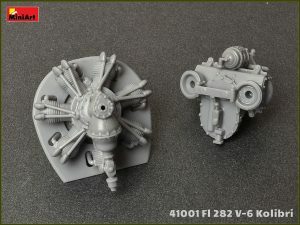 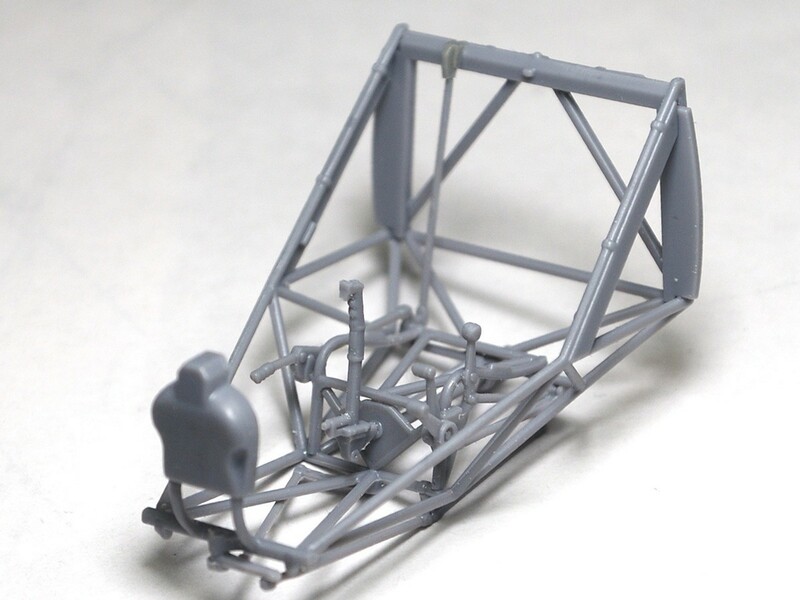 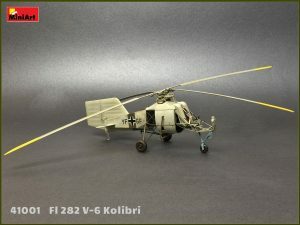 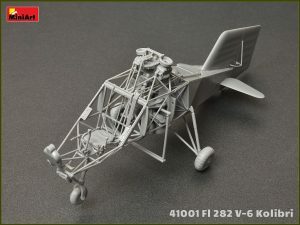 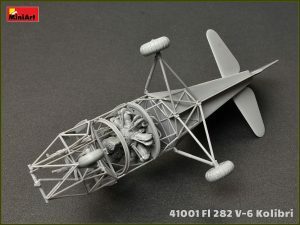 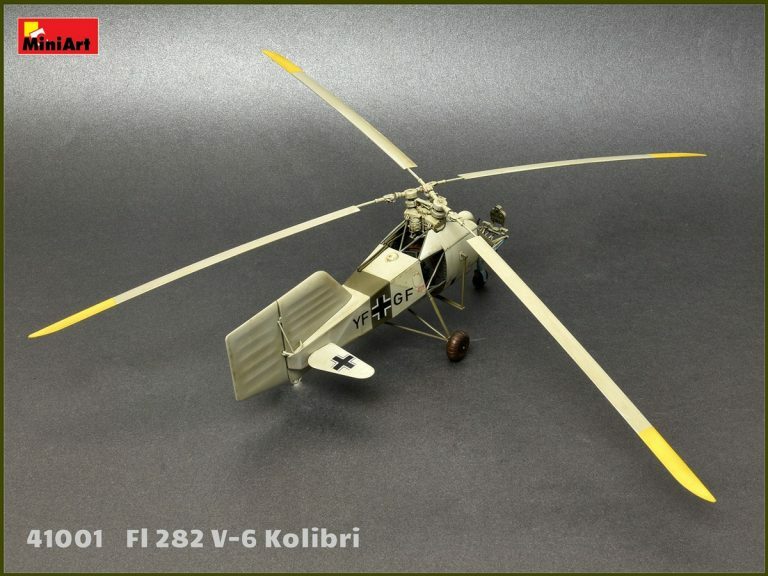 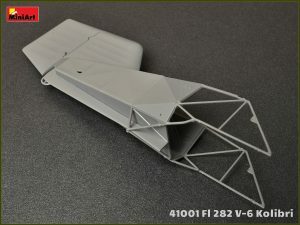 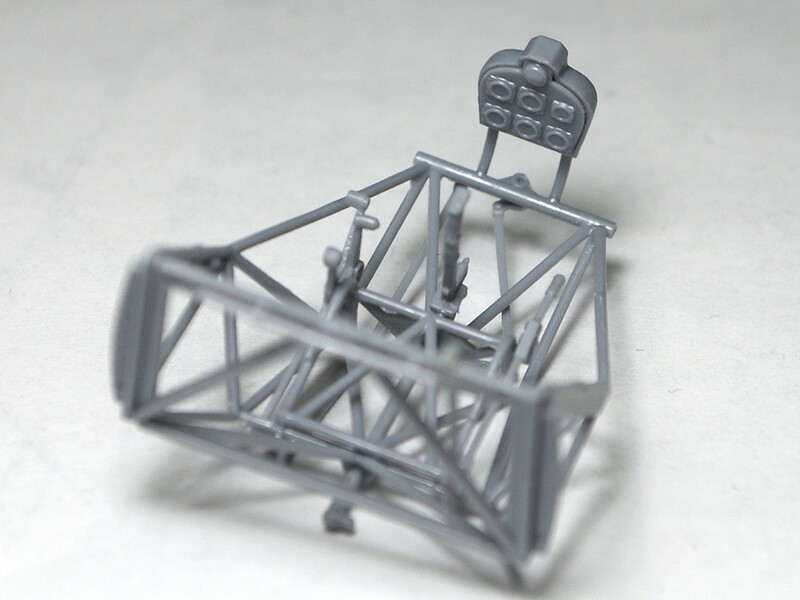 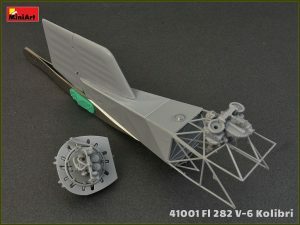 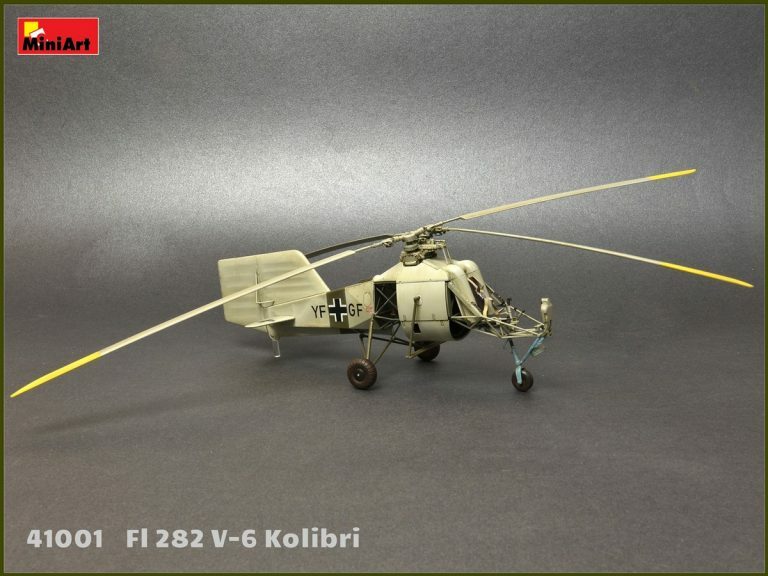 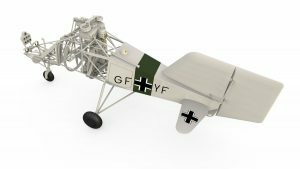 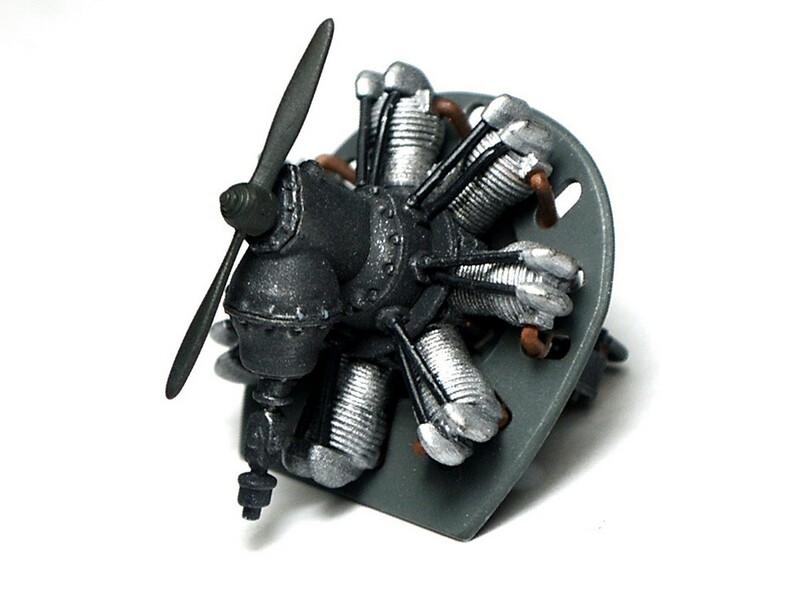 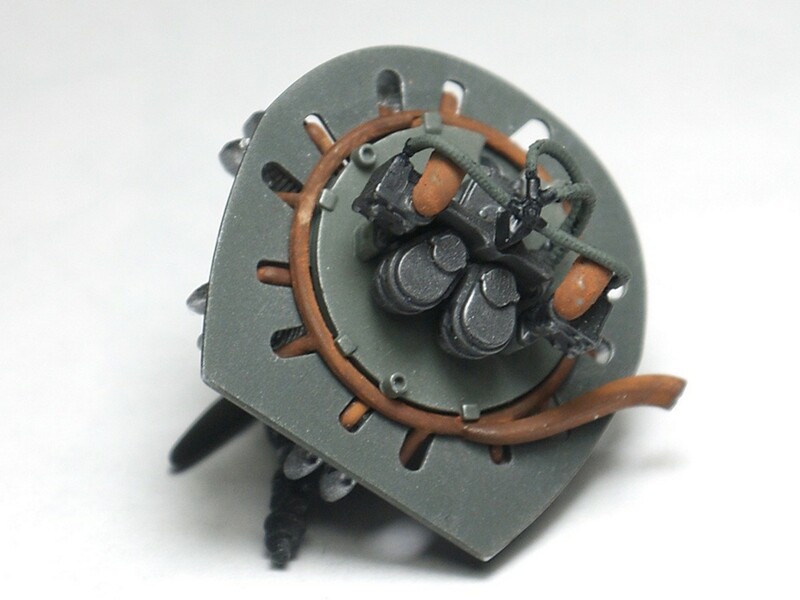 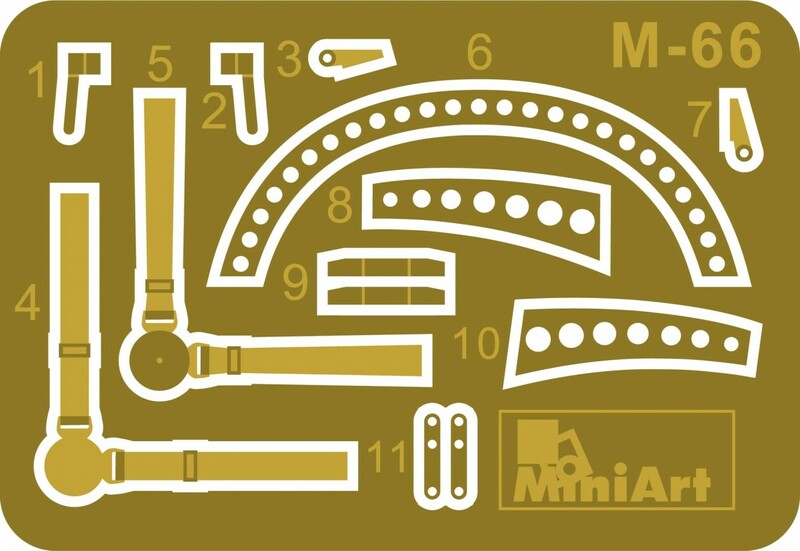 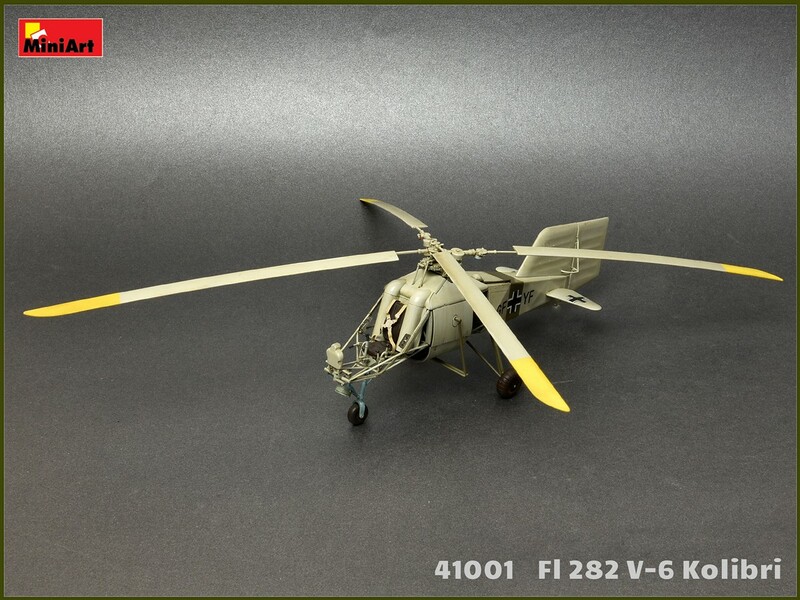 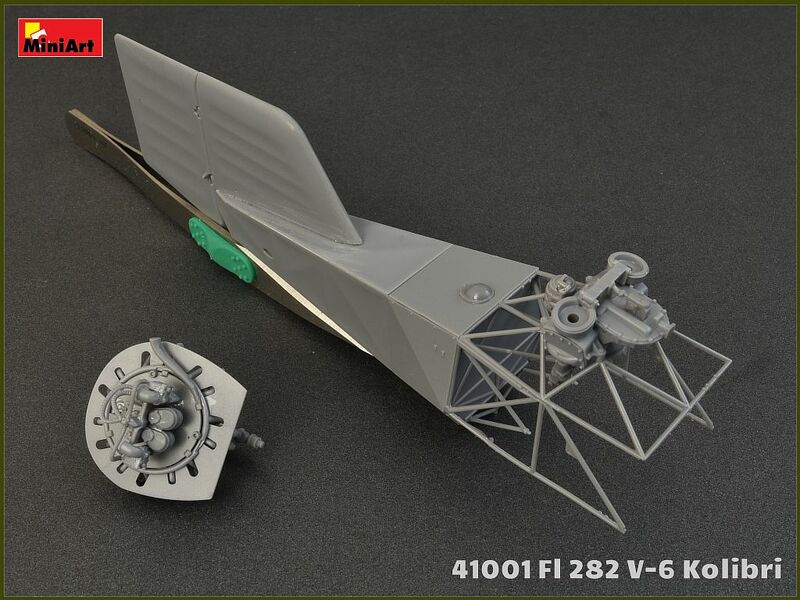 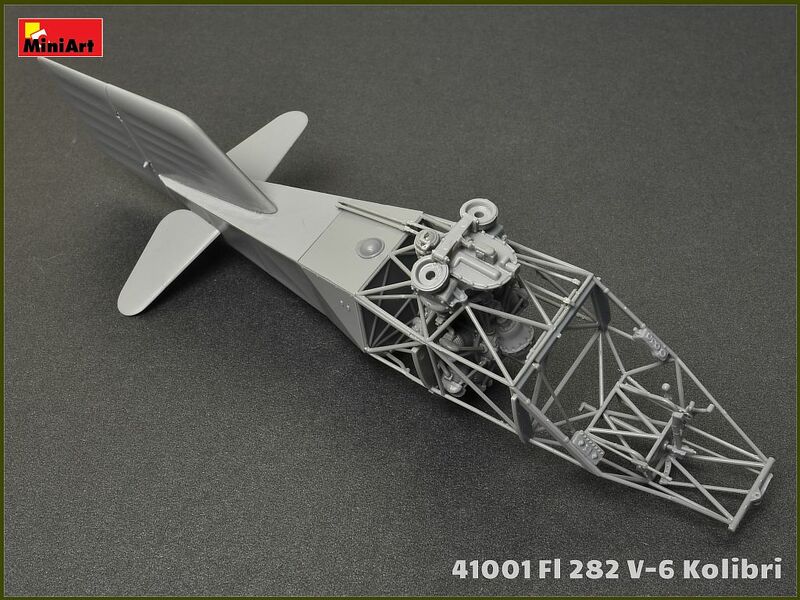 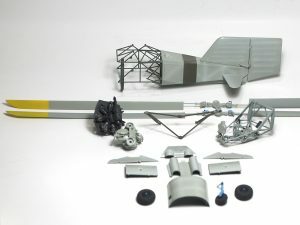 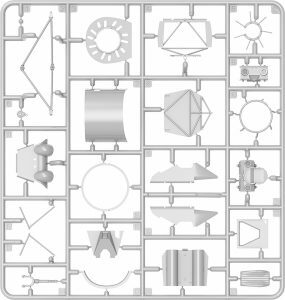 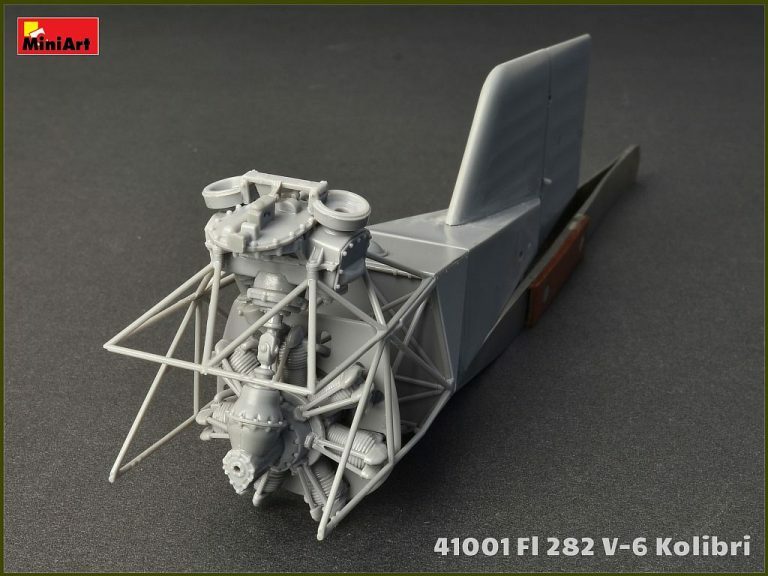 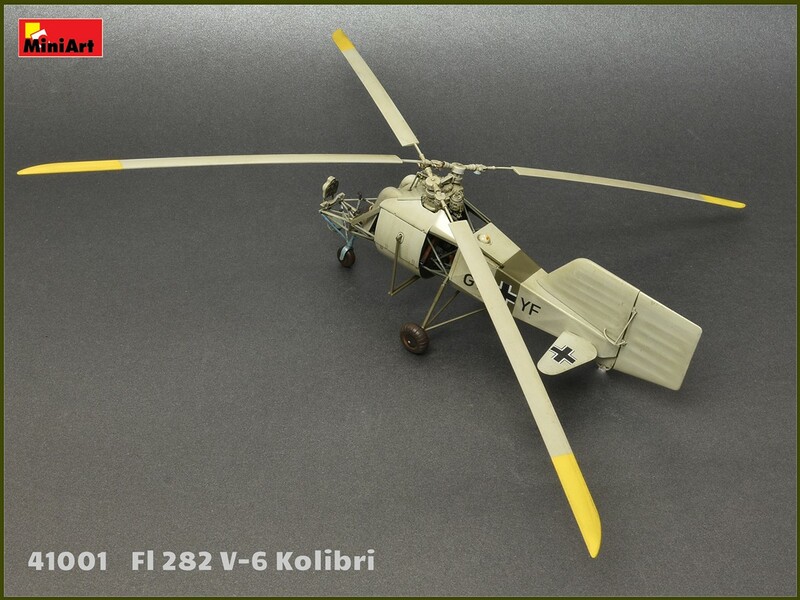 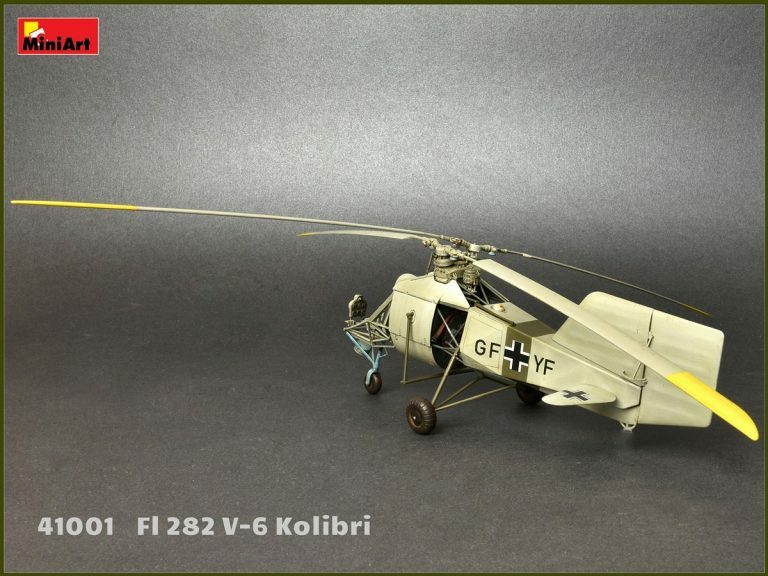 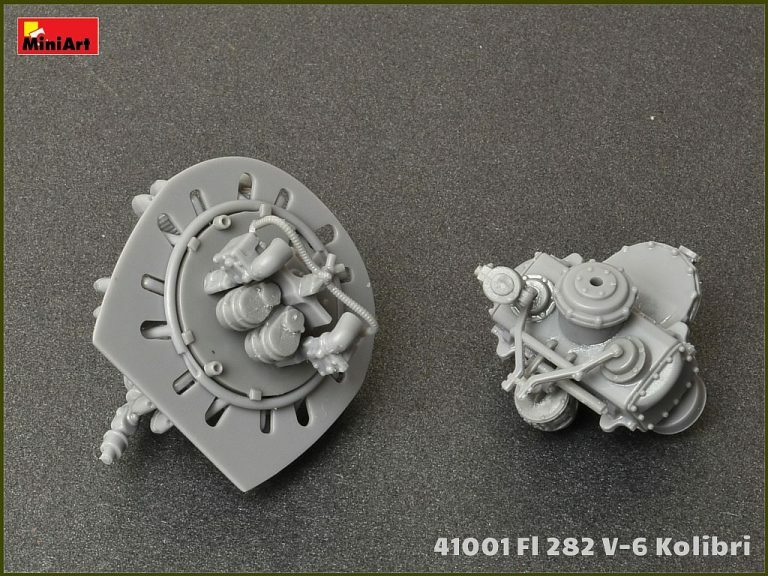 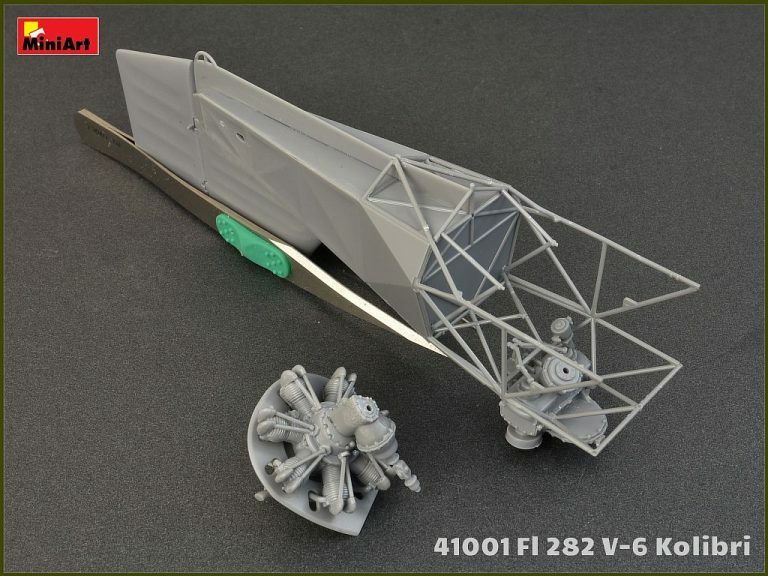 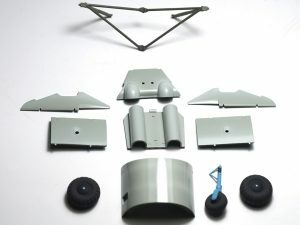 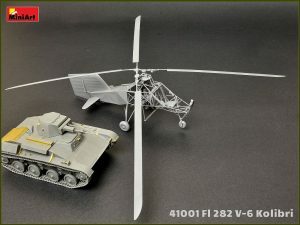 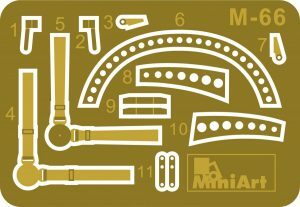 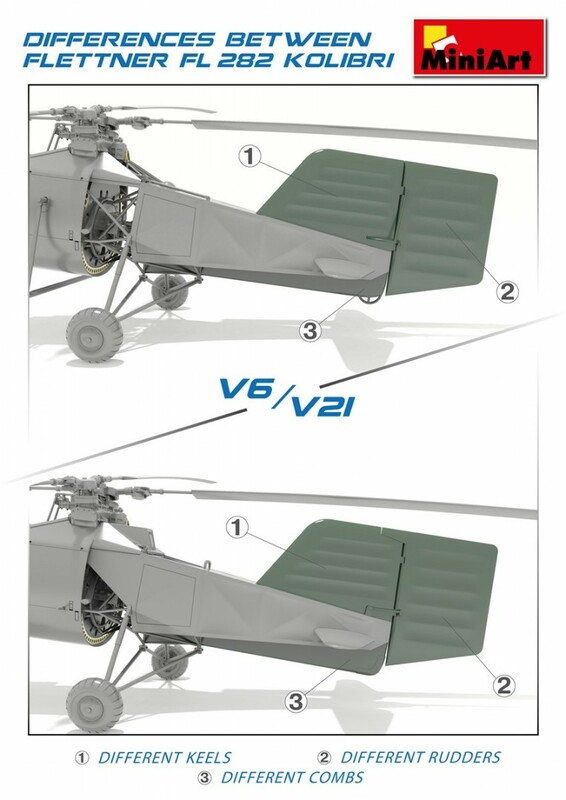 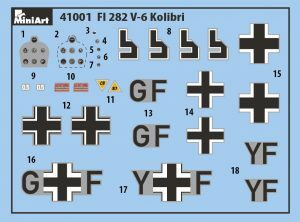 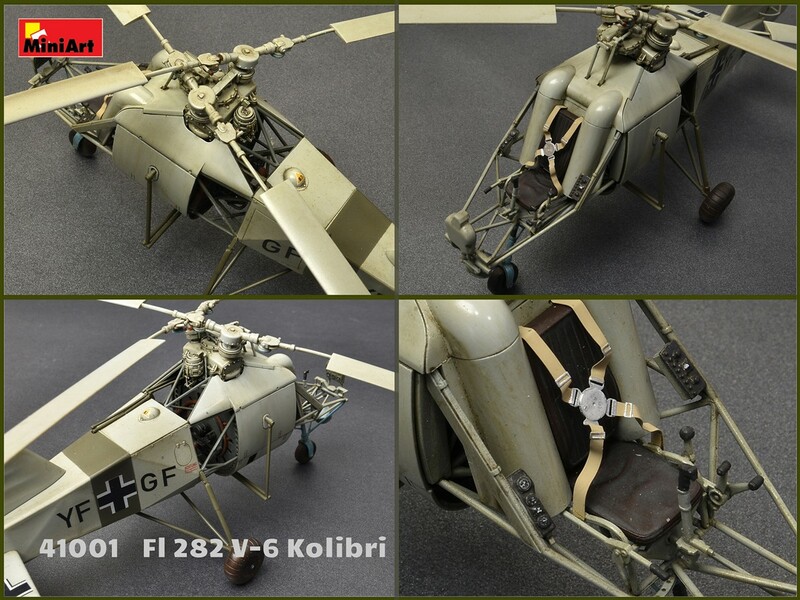 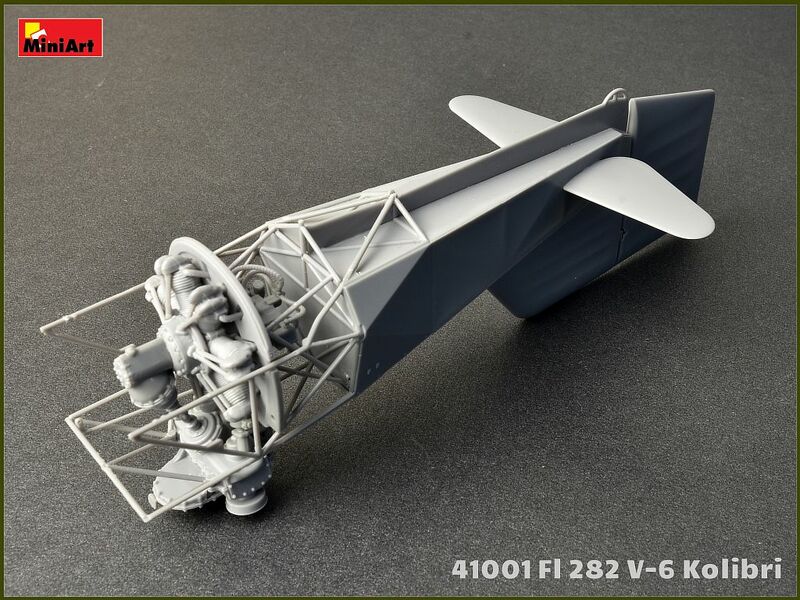 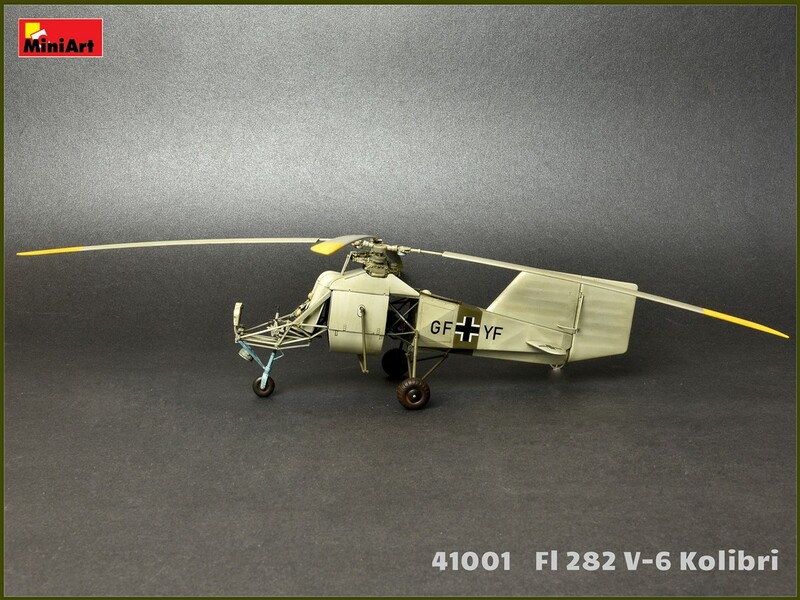 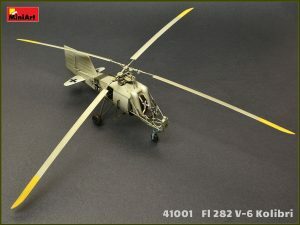 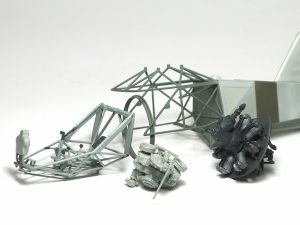 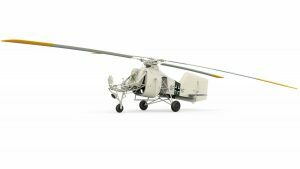 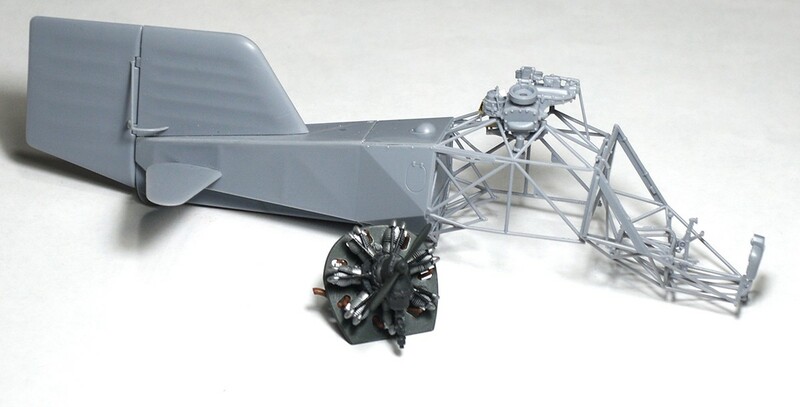 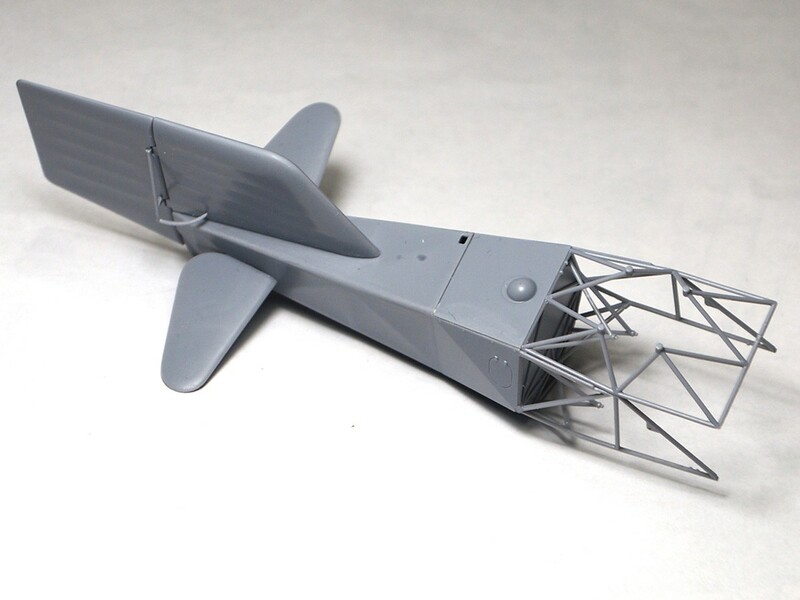 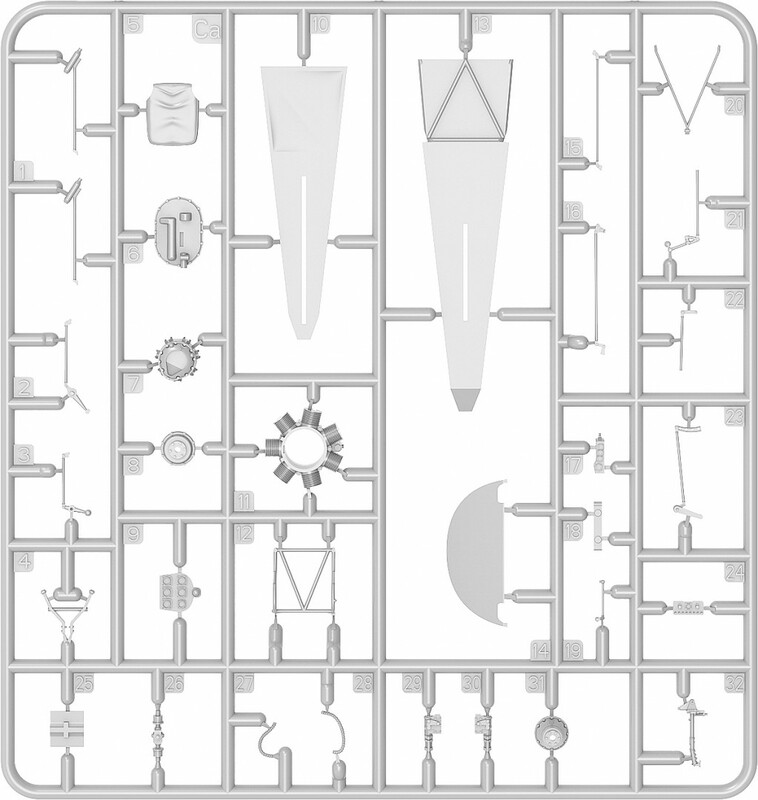 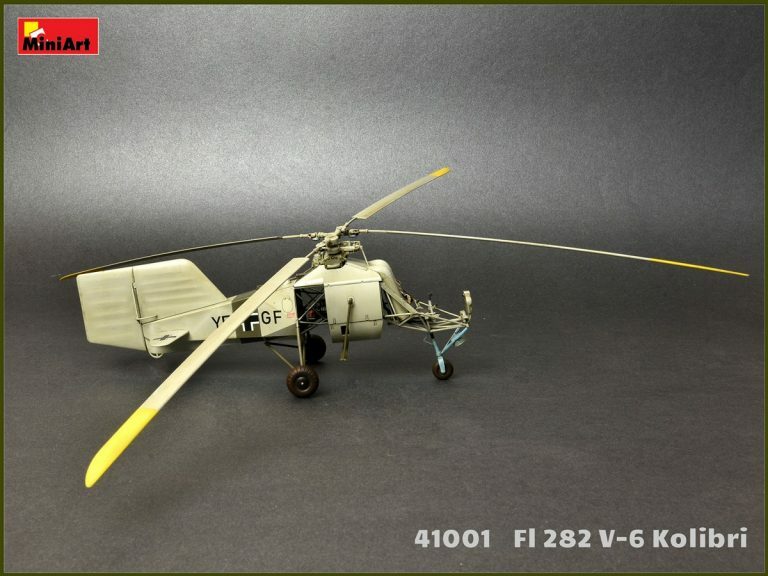 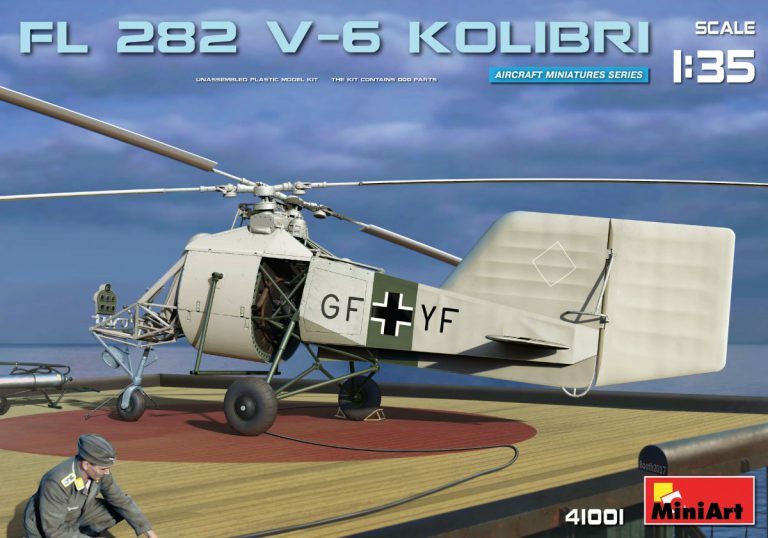 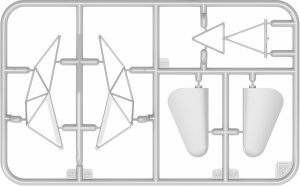 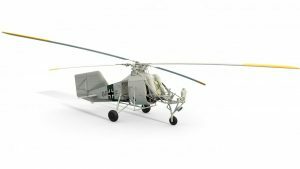 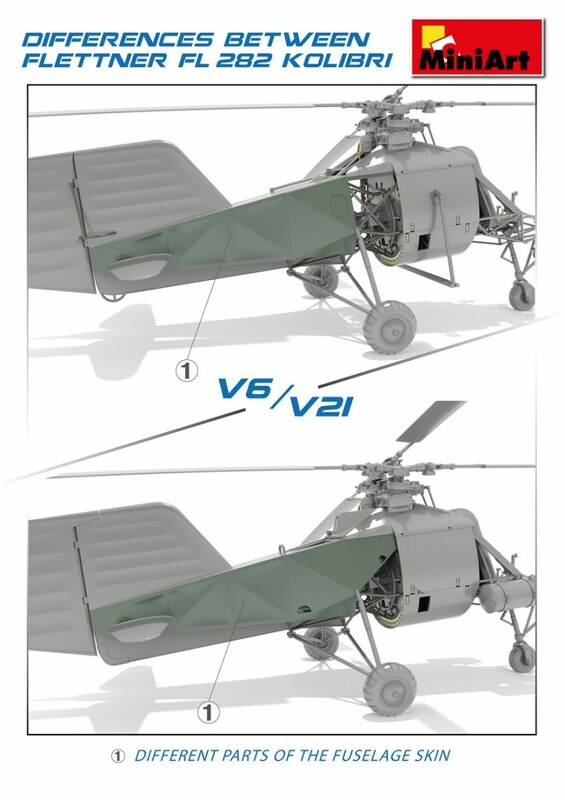 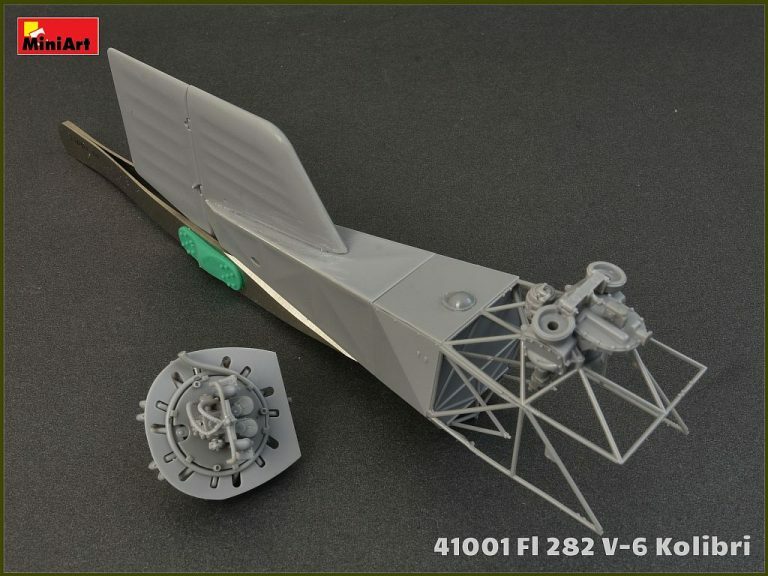 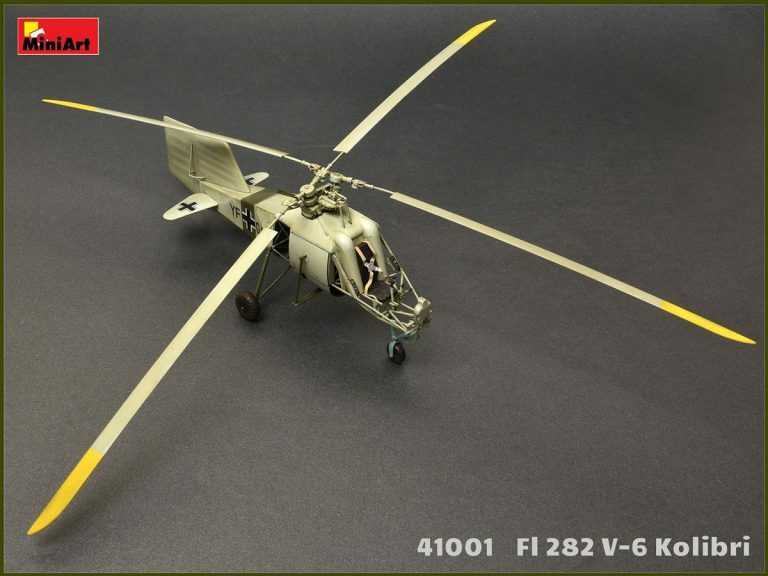 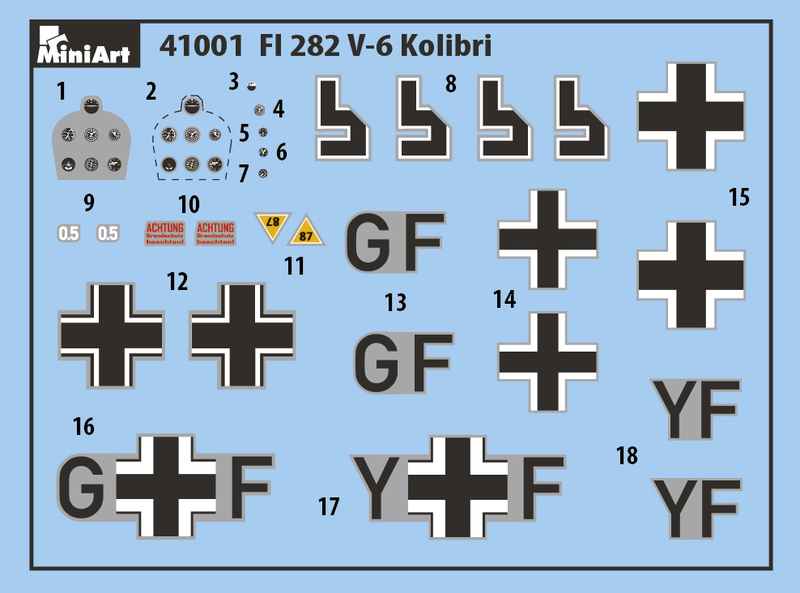 Kit contains 185 parts for assembling models of helicopter Fl 282 V-6 KOLIBRI in 1/35 scale. 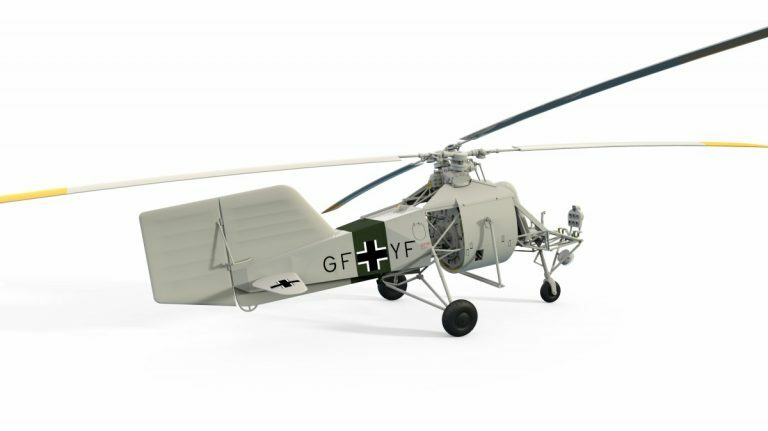 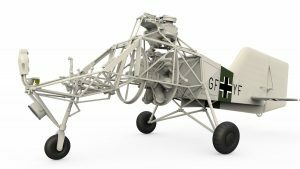 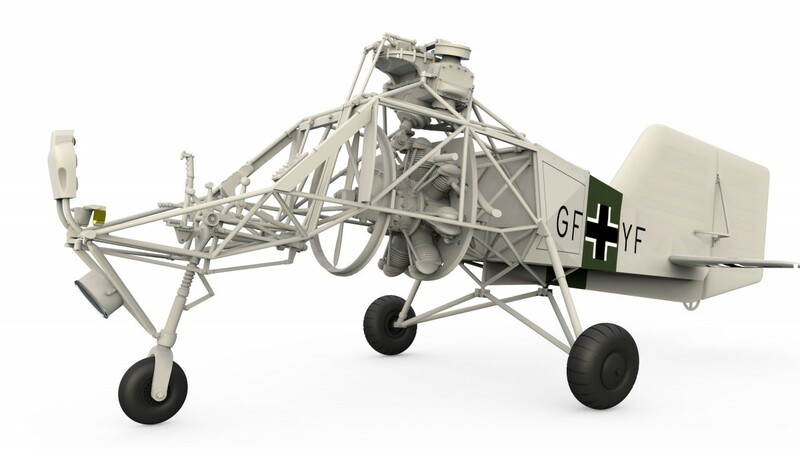 The Flettner Fl 282 Kolibri (“Hummingbird”) is a single-seat open cockpit intermeshing rotor helicopter produced by Anton Flettner of Germany. 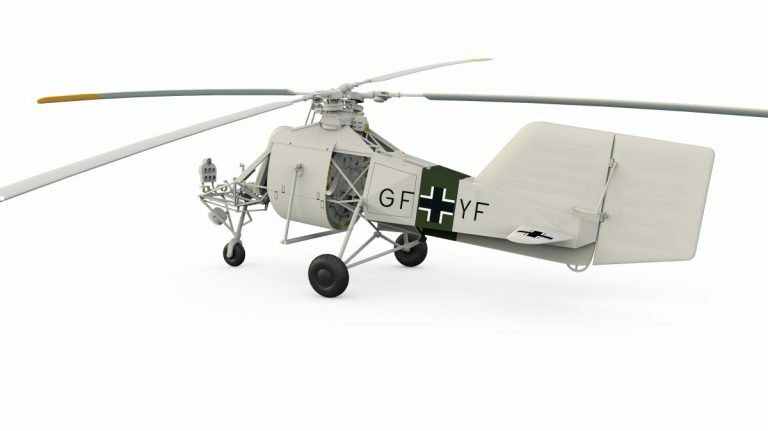 The Fl 282 was undoubtedly Anton Flettner’s most successful helicopter development. 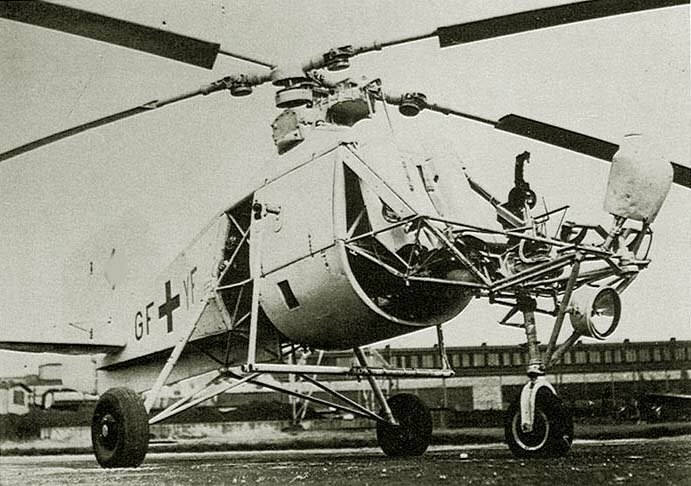 Prototype testing finished by July of 1940 when the helicopter entered service. 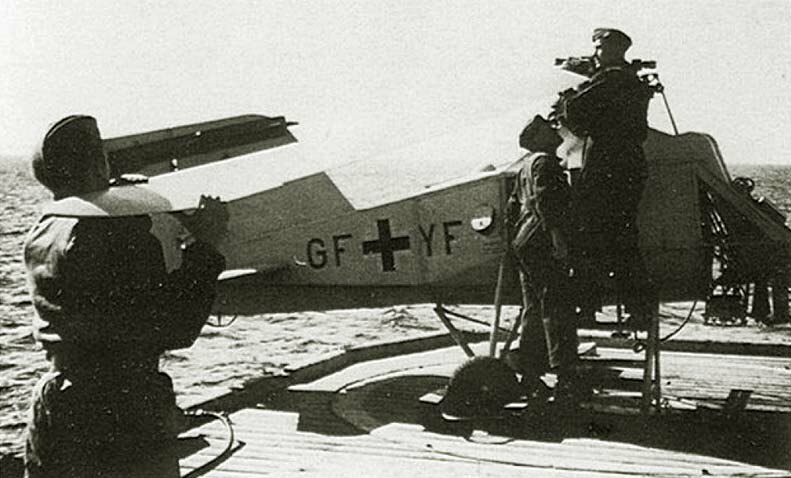 In 1942 German Navy began testing of FI 282. 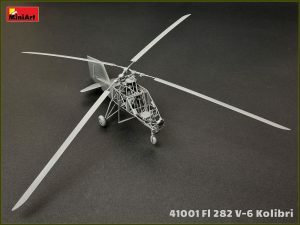 The FI 282 was found to have good handling in good and bad weather, with stable flight characteristics in all conditions whilst also being quite maneuverable. Several tests involved rough conditions at sea including landing in harsh conditions which the Kolibri proved itself a capable and reliable machine. 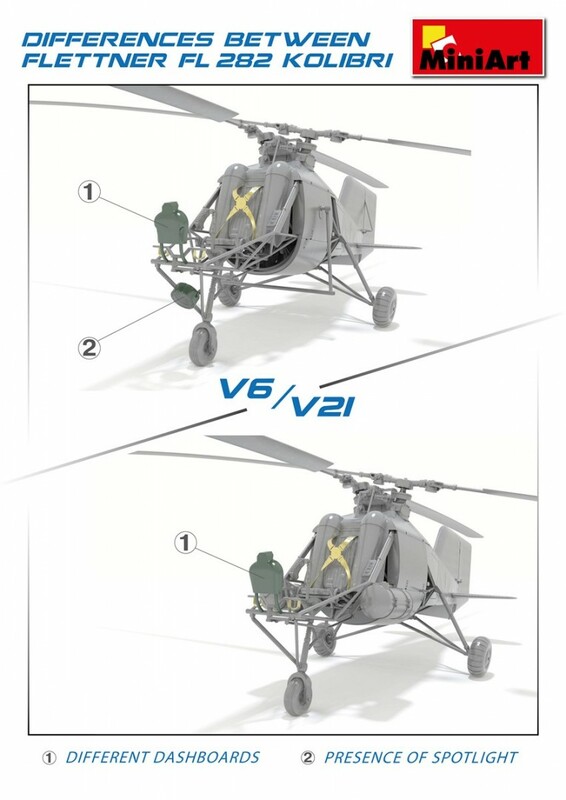 In 1942 a total of twenty prototypes were in testing. 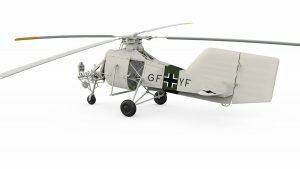 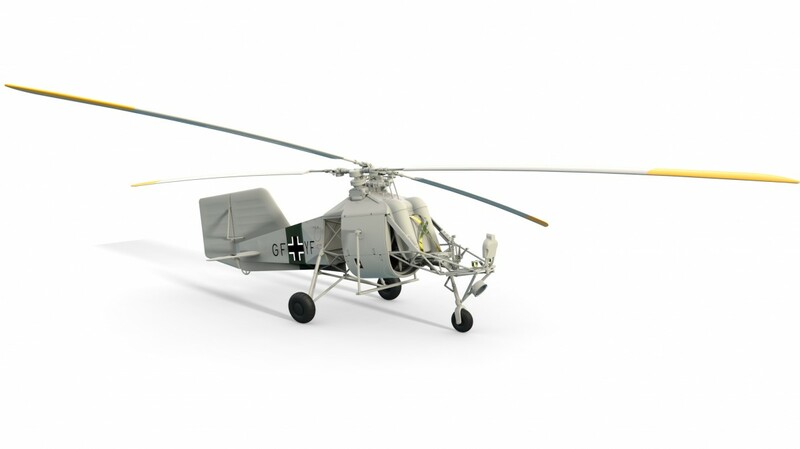 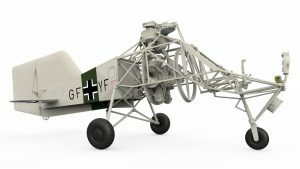 Based on the prototypes’ success, plans to manufacture 1000 helicopters were approved; however these were never built in such numbers due to the allied bombing of the Flettner and BMW factories. 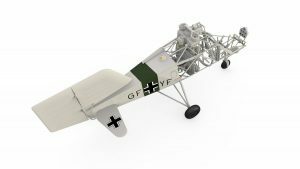 By 1943, twenty-four Fl 282s were been built, with twenty used by the Kriegsmarine for convoy protection in the Mediterranean and Aegean seas. 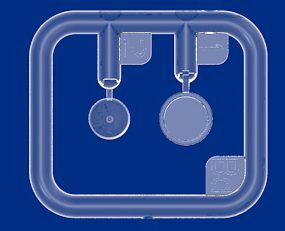 Unfortunately, little is known of the operational deployment of the machine during that time. 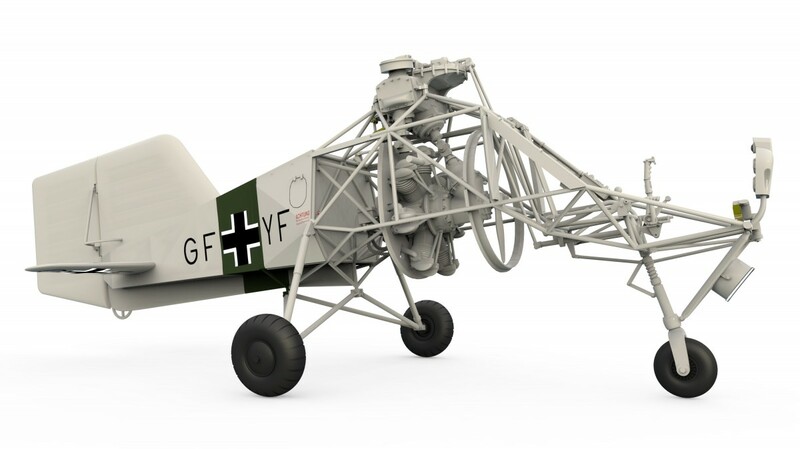 It is also known that Luft-Transportstaffel 40had at least three Fl 282s (and also three Focke Achgelis Fa 223s) at its disposal, based at Ainring in April 1945. It was possibly one of this unit’s Fl 282s that flew gauleiter Hanke out of besieged Breslau just before the capture of that city. 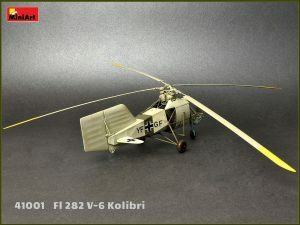 Only three FI 282’s were discovered by the Allies in a serviceable condition at the end of the war. 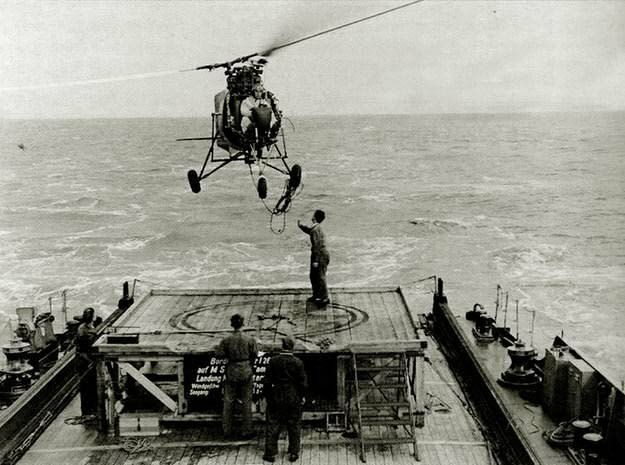 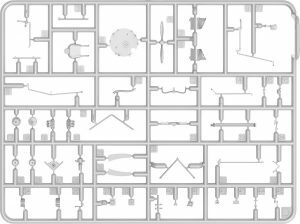 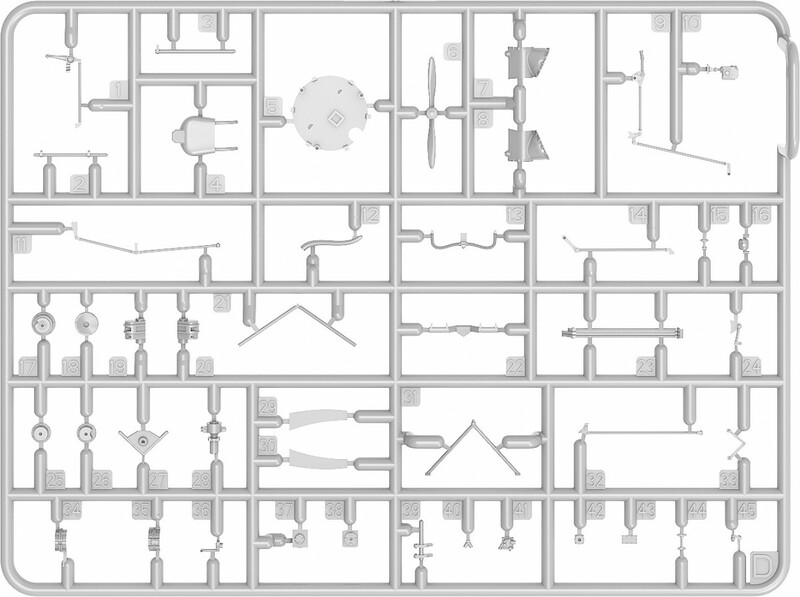 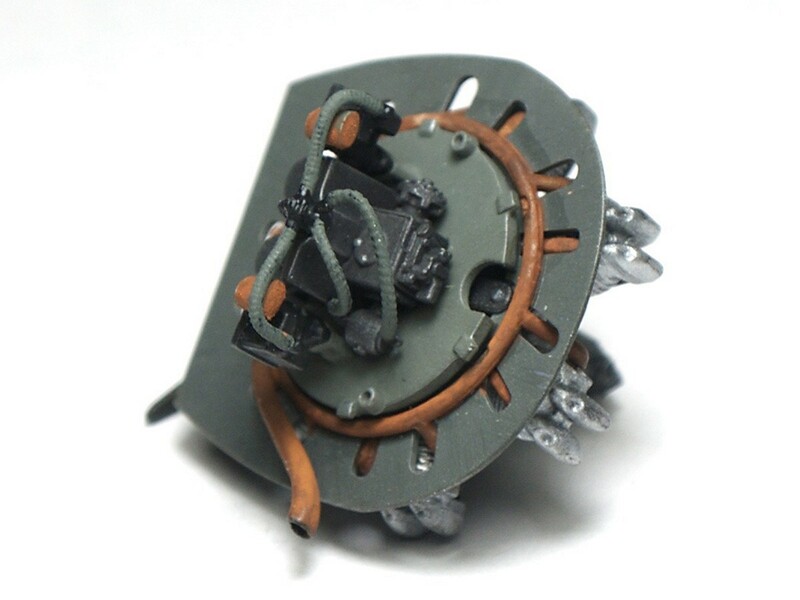 All of the others had been lost in service or destroyed or disassembled to prevent capture of their technology. 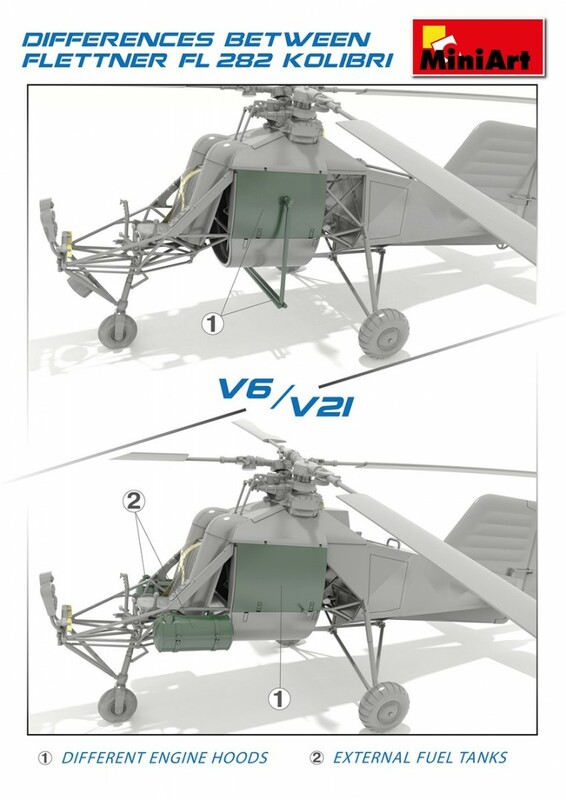 Of these three machines Fl 282 V15 and V23 were taken to the USA, with a third FI 282 V16 being claimed by the USSR. 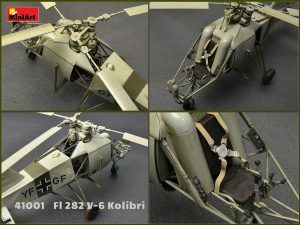 Examples known to have survived are the Fl 282 (c/n 28368) at the Cranfield Institute of Technology, and the Fl 282 V23 at the United States Air Force Museum, Dayton, Ohio. 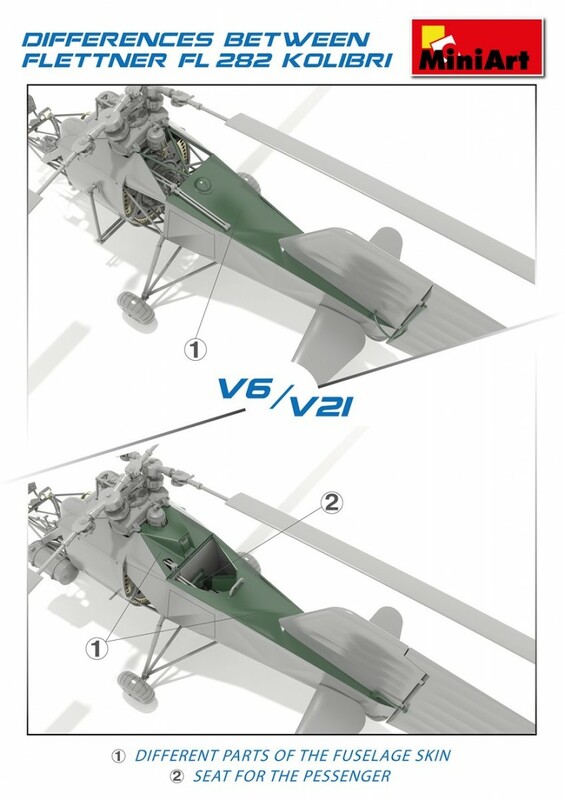 The one which was captured by USSR is displayed in Moscow at the Aviation Institute (National Research University). 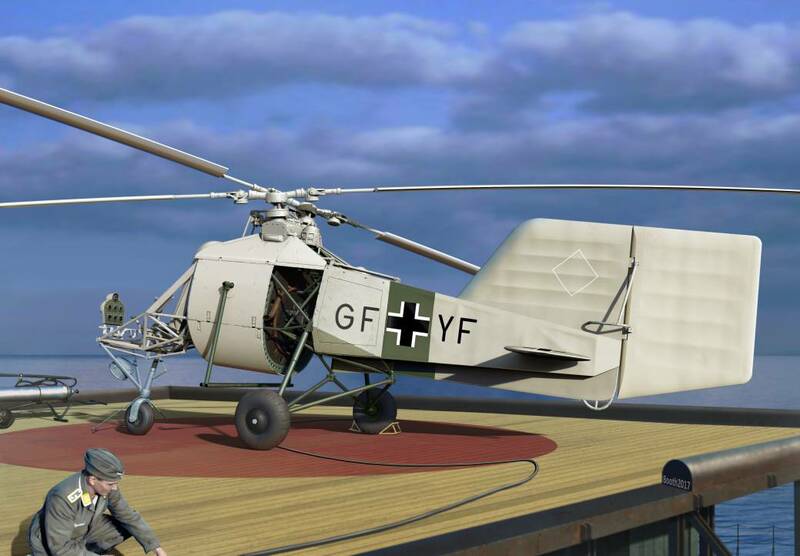 In August 1942 the FI 282 V-6 was used for test flights from depot ship “Graig” in Travemünde. 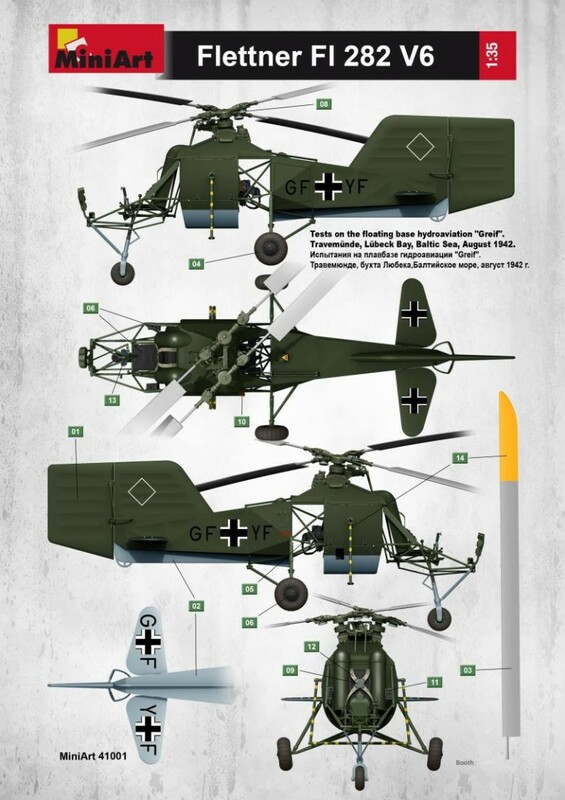 From Autumn 1942 until winter 1943 V-6 served on the minelayer ship “Drache”. 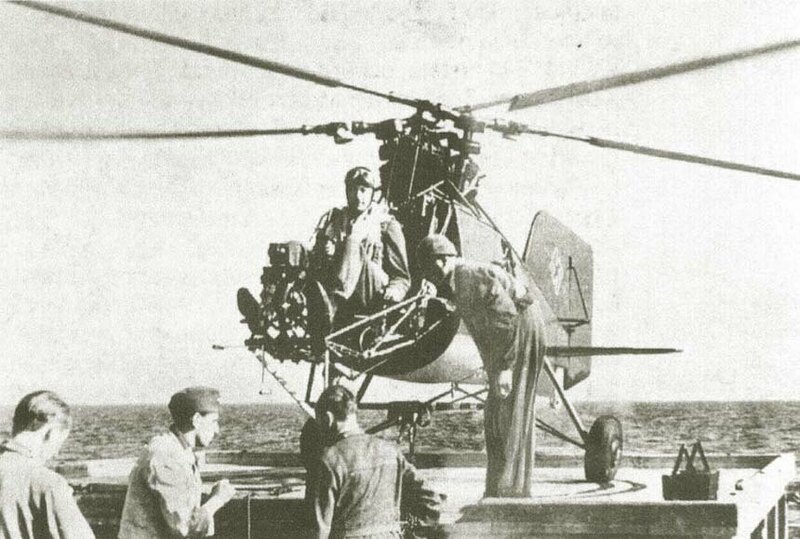 In April 1943 this Kolibri is seen in service of the anti-submarine warfare carrier KUJ13. It was sent back to the Flettner plant on 22/11/1943 for maintenance & testing before re-entering service.